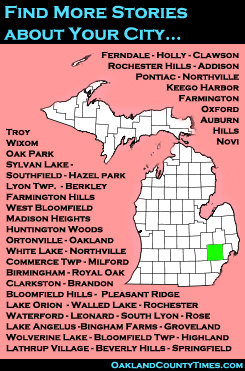 Auburn Hills, Birmingham, Bloomfield Hills, Canton Township, Clawson, Commerce Township, Farmington, Highland Township, Lake Angelus, Livonia, Lyon Township, Milford Township, Northville/Northville Township, Novi/Novi Township, Plymouth/Plymouth Township, Rochester Hills, South Lyon, Troy, Walled Lake, Waterford, West Bloomfield, White Lake Township, and Wixom, MI -Klint Kesto is running for Congress for the 11th District in the Aug. 7, 2018 Republican Primary. Also on the Republican ballot are Kerry Bentivolo, Lena Epstein, Mike Kowall and Rocky Raczkowski. On the Democratic Primary ballot are Tim Greimel, Suneel Gupta, Fayrouz Saad, Nancy Skinner and Haley Stevens. On the Libertarian Primary ballot Leonard Schwartz is running unopposed. The winner of each Primary will move on to the Nov. 6, 2018 general election ballot.